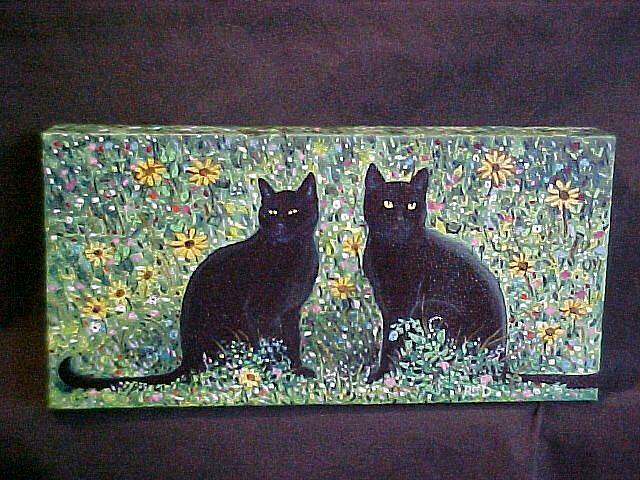 I love to paint black cats in a field of flowers. I wanted the title to suggest the cats are flowers too. I have painted several paintings similar to this one and will probably paint another.